When you’re looking for a way to update your style, celebrities are, without a doubt, the best source of inspiration. Whether it’s the latest hairstyle, the most on-trend fashion item or the must-have eyewear design, they just know what’s hot. Here at SelectSpecs we’re always on the look out for celebrities rocking great glasses and this week Hailey Baldwin caught our eye. The American model is friends with Kendall Jenner and Gigi Hadid and has an eyewear collection to rival even theirs. From designer photoshoots to selfies with her besties, she’s rarely seen without a pair of stylish specs or shades. So, let’s take a look at some of Hailey Baldwin’s most on-trend eyewear looks and how you can get the look for yourself. Last week, Hailey took time out from her busy modelling schedule to enjoy a girl’s trip to Florida. While there, she shared this snap of her enviable beach-ready get-up which included a stylish black and white bikini and a pair of statement shades. Her wayfarer style sunglasses featured classic black frames that have been updated with statement metal browline detail. 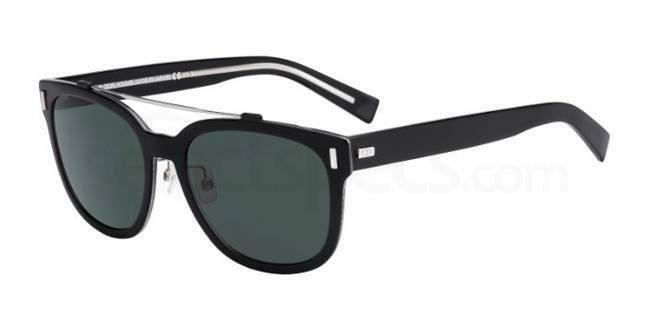 The Dior Homme BLACKTIE2.0S H sunglasses feature a similar style, with black wayfarer frames and silver brow bars – they may be designed for the boys, but these cool shades will give you Hailey’s contemporary eyewear look. It’s not just sunglasses style that Hailey has sorted. On a trip to Paris, she dressed down in a chic all-black ensemble and finished off her outfit with a pair of round specs. This retro-inspired shape is one of the most fashionable styles for 2016 and has become a celebrity favourite over the past few months. Get the look with the Infinity P77333 glasses from SelectSpecs. 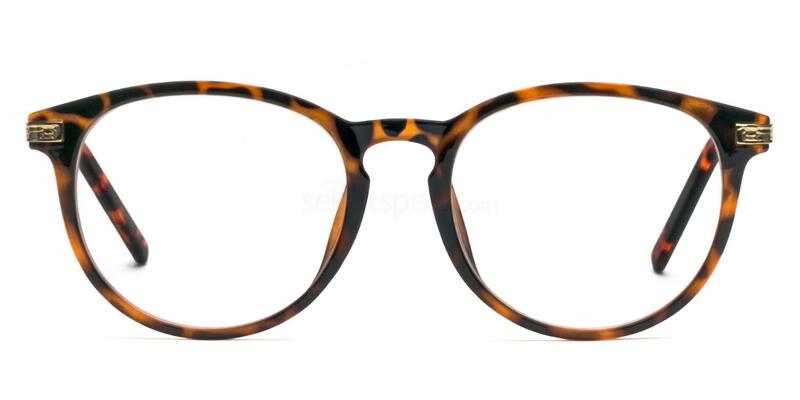 These round frames are finished in a classic tortoiseshell effect. Another trend that never seems to go away is the geek chic look, so we weren’t surprised to see these specs pop up on Hailey’s Instagram feed. Proving she’s a natural beauty, Hailey wore simple makeup and a ponytail which she accessorised with a pair of over-sized geek chic glasses in black just like the Levi’s LS123 glasses. Aviator sunglasses are a celebrity staple and never go out of fashion. If you’re searching for some summer style inspiration, why not add a luxe edge to your look with a pair of gold aviators like Haileys? Paired with a patterned bomber jacket and a top knot, her look is so on-trend. 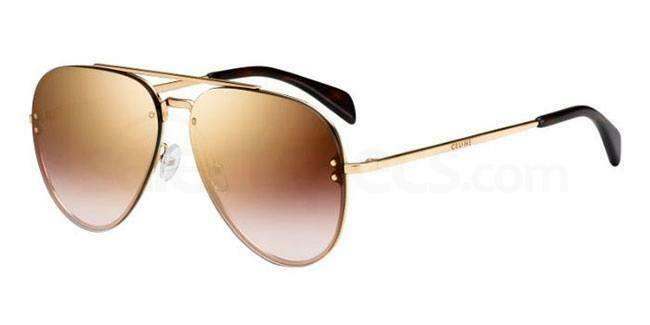 We love the chic Celine CL41392/S sunglasses which feature reflective gold lenses and gold frames. @voguebrasil shot by @manuelnogueira ?? Last but not least, we have another pair of amazing glasses. In a shot she shared with her Instagram followers, Hailey pulled off this preppy look that was part of a photoshoot for Vogue Brasil. It featured a pair of sophisticated thick-rimmed frames which she wore with a striped shirt and a colourful knitted hat for an eclectic but intellectual style. 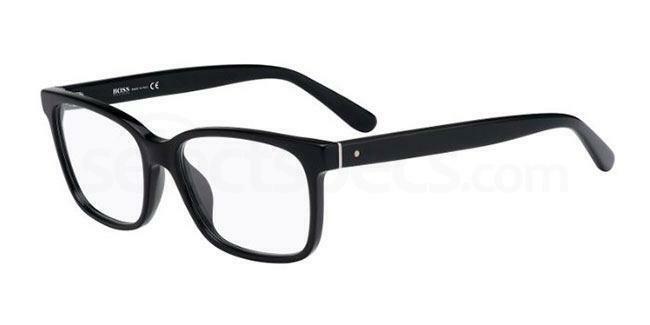 This classic look is easy to achieve with a pair of simple black thick-rimmed frames. 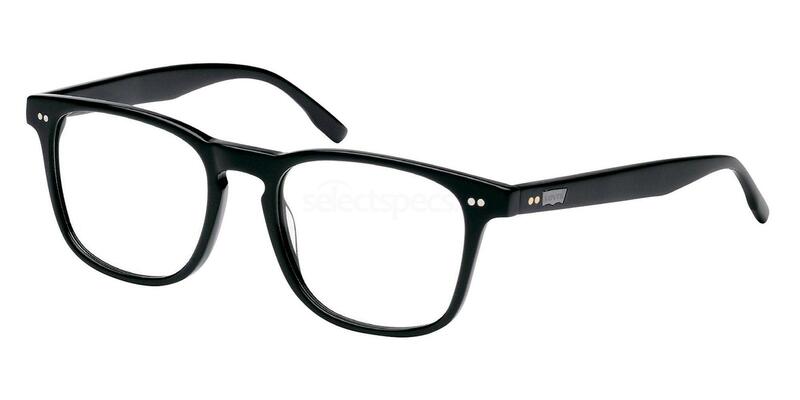 Try the Hugo Boss BOSS 0789 glasses, which are available online at SelectSpecs. What do you think of Hailey Baildwin’s on-trend eyewear style? Let us know your favourite look in the comments below. We decipher Gigi Hadid’s eyewear looks, see them here.